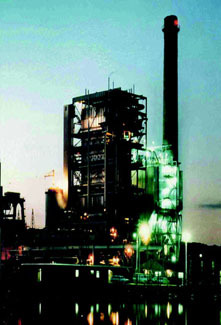 EPSCO International, Inc. (EPSCO) is an Air Pollution Control Consulting firm with more than 25 years experience, over 300 successfully executed projects, comprised of 10 plus Consultants and Associates who have personal experience with electrostatic precipitators (ESP's), fabric filters (FF's) and Operations & Maintenance of flue gas desulphurization (FGD) and selective catalytic reactor (SCR) systems. EPSCO offers a wide range of air pollution control and consulting services. Copyright © 2005 EPSCO International, Inc. All rights reserved.